It was bound to happen. You simply can’t keep something this good to yourself. 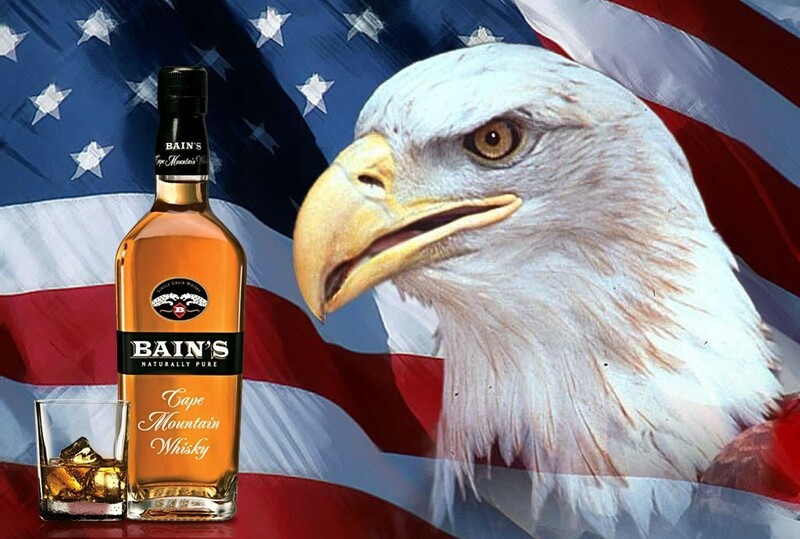 Yep, Bain’s Cape Mountain Whisky is going global baby! As I type this, Andy Watts – master distiller at the James Sedgwick Distillery (home of Bain’s and Three Ships whisky) – is winging his way to the good ol’ US of A to launch Bain’s in the States. Edit (1 Jul 2015): Full tour details are available on the http://www.bainswhisky.com/ website. Looks as though Illinois, Minnesota and Missouri will be the first states to get Bain’s. Bain’s seems to be a logical choice as the award winning single grain whisky is likely to suit the American palate a bit more with its toffee/vanilla/spice notes than the Three Ships range. In addition, we share the same bottling requirements as the US – 750ml bottles – which makes it a lot easier to get the product out to market. Where is it being launched? How much volume will they receive? Who will be driving the brand in the US? How long until Three Ships heads over the Atlantic too? As I get answers to these and other questions, I’ll update this post. Q: How much volume will they receive? A: At this stage the volume is quite small in order to first gain an interest in the country. Q: What is the price point? Q: Who will be driving the brand in the US? Q: How long until Three Ships heads over the Atlantic too? A: At this point it is only Bain’s and we do hope that the Three Ships range will soon be able to reach America too in order to offer consumers a full South African whisky tasting experience. Q: Which country is next? A: We have a few stores in the UK, duty free and in Canada and working on a vision to see Bain’s available in Europe over the coming years. With Distell’s acquisition of Burn Stewart Distillers a little while back, it definitely looks as though they are looking beyond SA’s borders – they’d be silly not to. And don’t forget the vast, untapped African market. Andy was in Zambia last week hosting a series of tasting events, so it looks as though brand awareness is being raised outside of SA’s borders. How much longer until more announcements of international distribution I wonder? I’ve been an ardent supporter of the distillery and the skills of its master distiller from the start of my whisky journey and I can’t wait to see how warmly the world receives our proudly South African whiskies. So proud of Bains and JSD! I really hope that the USA realize what amazing whisky they are getting.